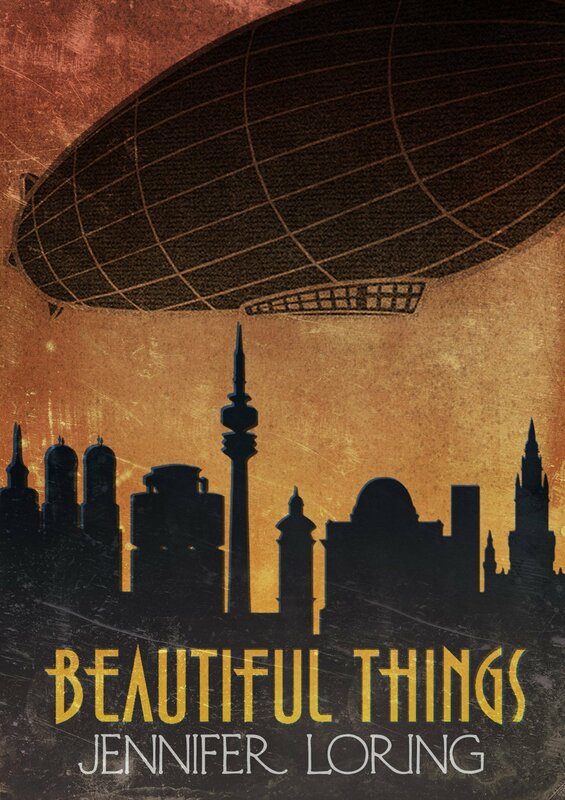 Beautiful Things is Now Available! Mitzi Weinhaus is the talentless daughter of two Munich Kabarett stars. One night, in an underground club that has so far escaped Nazi detection, she meets the enigmatic singer Giselle, who offers her the chance to be a hero. All Mitzi has to do is infiltrate the notorious Dachau death camp, but she won’t have to do it alone. Teamed up with the mysterious Wolfrik, for whom she develops an alarming attraction, Mitzi soon finds herself ensnared in a world of secret societies, super-soldiers, monsters, and gods. Double-crossed on all sides, it is up to her to save her parents from certain death–and to save her heart from one of the most powerful beings in the universe. This entry was posted in shapeshifters, short story, war, werewolf, writing and tagged Beautiful Things, dieselpunk, germany, novelette, werewolf, world war II. Sounds like a cool story, Jennifer! Congrats on the release.